Have you ever gazed at the fluorescent light above you head and thought of the sun? What about your boss's call for blue-sky thinking -- can you see that on your office wall? 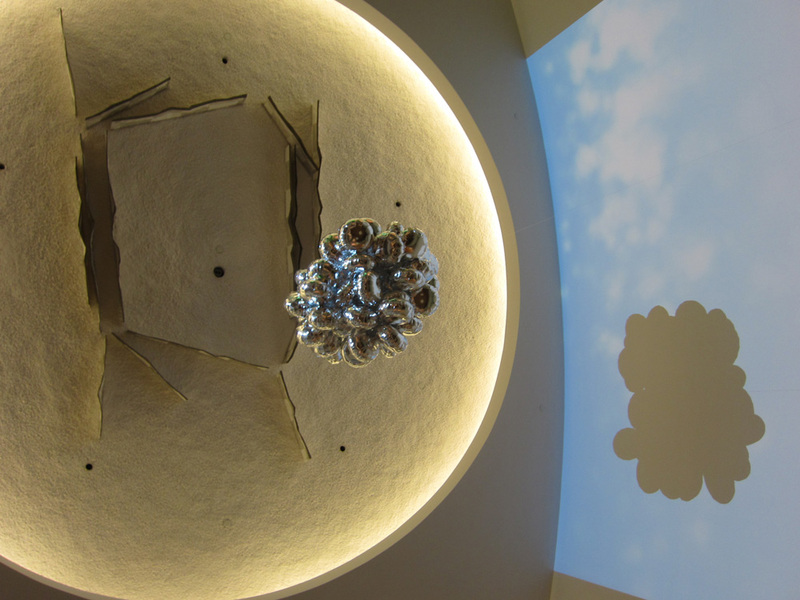 Artisphere's uniquely shaped space now offers you a new perspective and new inspiration with local artist Billy Friebele's Floating World. You can be part of the art world at Artisphere. Your movement through Artisphere triggers a fan that blows the balloons about the sky. 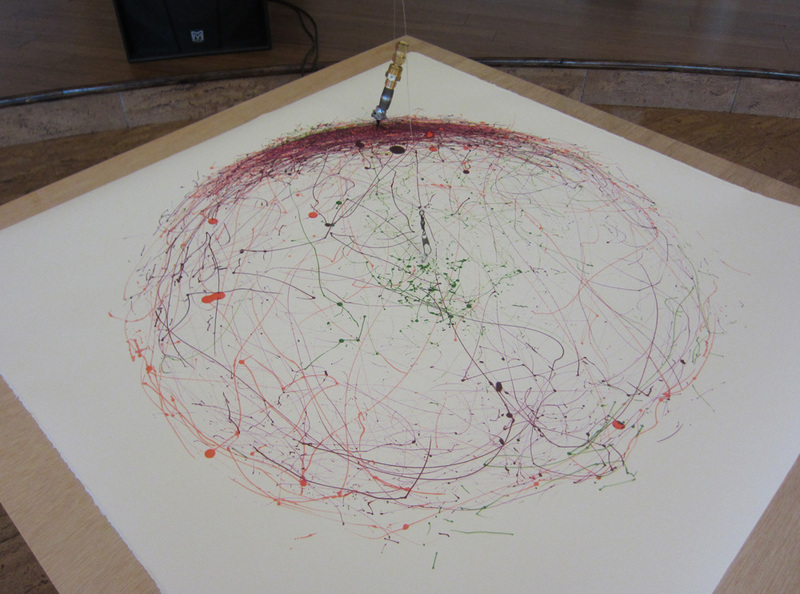 The balloons are connected to a writing instrument that inscribes those winds onto a record of this world's movement. The result is an artwork that moves beyond Jackson Pollock's ego-centric abstract creations to artwork of social and environmental interconnectedness. This work represents the socially conscious, environmentally aware heart of Rosslyn and other leading new urban centers. Go to Artisphere, and contribute your movement.